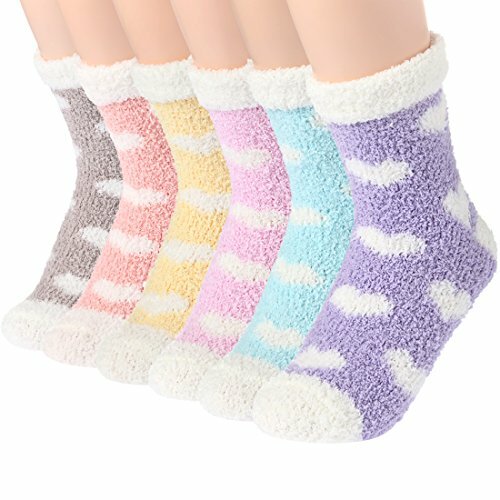 Pamper your feet with these adorable socks. 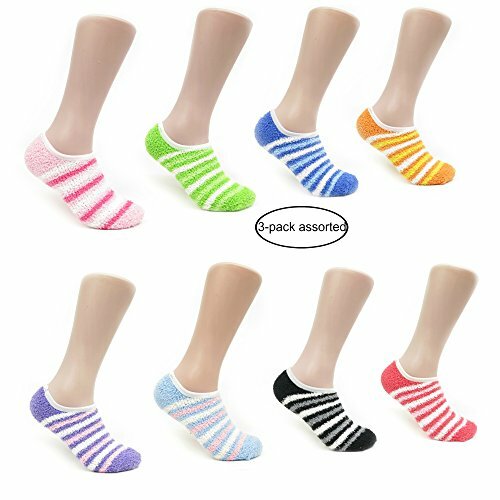 The socks are super comfy and breathable; you can use them to lounge around the house in and to keep your feet warm. Great for use while traveling, at the hospital, or for yoga. The bottoms are beaded with non-skid material in the shape of adorable bare feet for better traction. Butter Toes is a place where fashion meets comfort. Not to butter you up, but there`s a toast to you and your toes! Treat your feet! 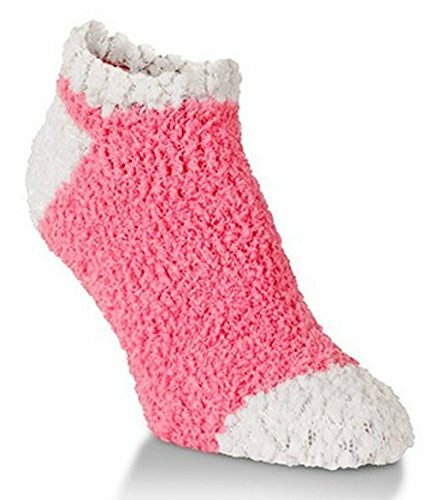 Treat your feet to these soft, warm, and cozy fuzzy ankle socks. 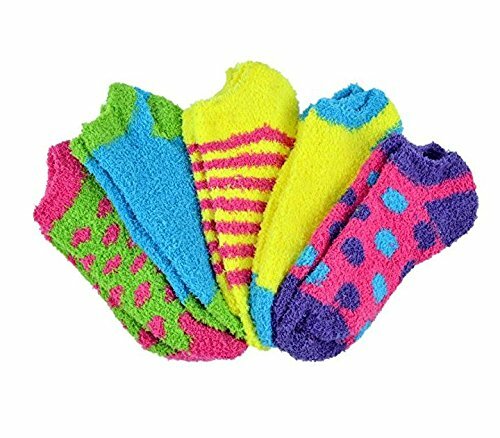 Featuring a no-show style, these socks can be worn around the house to keep your feet warm, or wear them with sneakers for a layer of extra soft warmth. 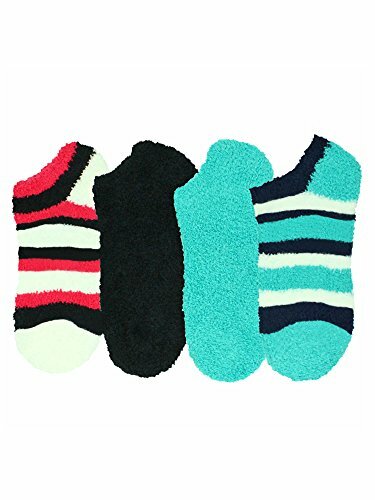 These fuzzy socks are ankle length, no-show style. 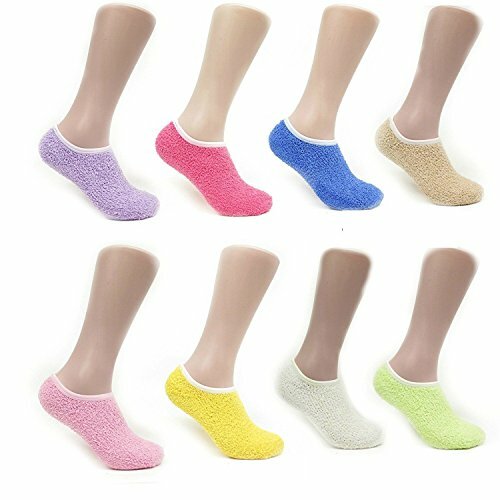 Wear them to bed as slippers or with your favorite winter shoes.These fuzzy spa socks make a great gift idea for family and friends.These fuzzy socks are made from a blend of 98% polyester and 2% spandex.Product Code: L02937 SKU: L02937 Socks measure approximately 9 inches from toe to heel, when laid flat and un-stretched. Sock is approximately 3.5 inches wide, when laid flat and un-stretched. 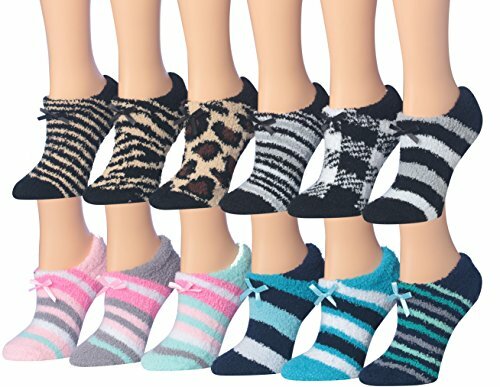 These fuzzy socks are one size and fits most, fitting women's shoe size up to US size 11. 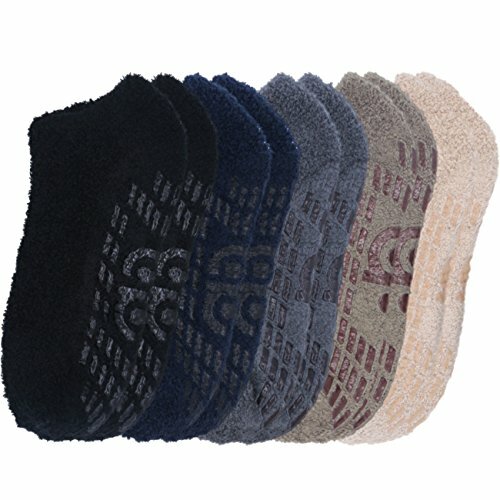 Toes Home is committed to providing every buyer a good feet care and wear feeling.Fantastic Fuzzy Slouchy Casual Socks! 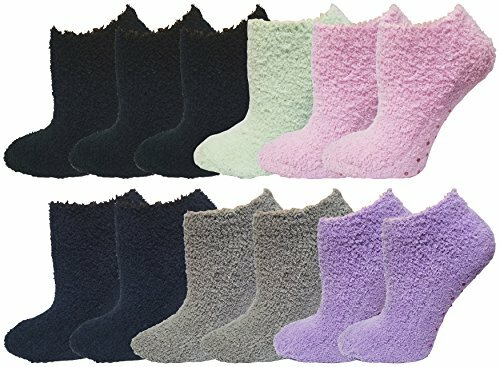 They're so soft,warm, and fluffy that they keep your feet toasty.Suitable for autumn,early spring,winter and AC room in summer.Variety of colors and designs,you can send them to your family and friends as gifts.Care Instruction: Hand/Machine Wash in cold water inside out and then air dry to reduce shrinkage.Do not iron. Long lasting and air dry only. Hand-Wash Recommended.